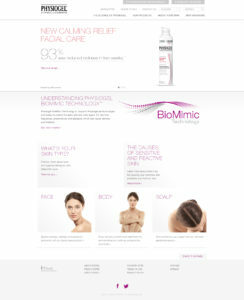 Having won a series of pitches for the GSK Global Skin Category, Wunderman worked feverishly to deliver a series of campaigns and websites. 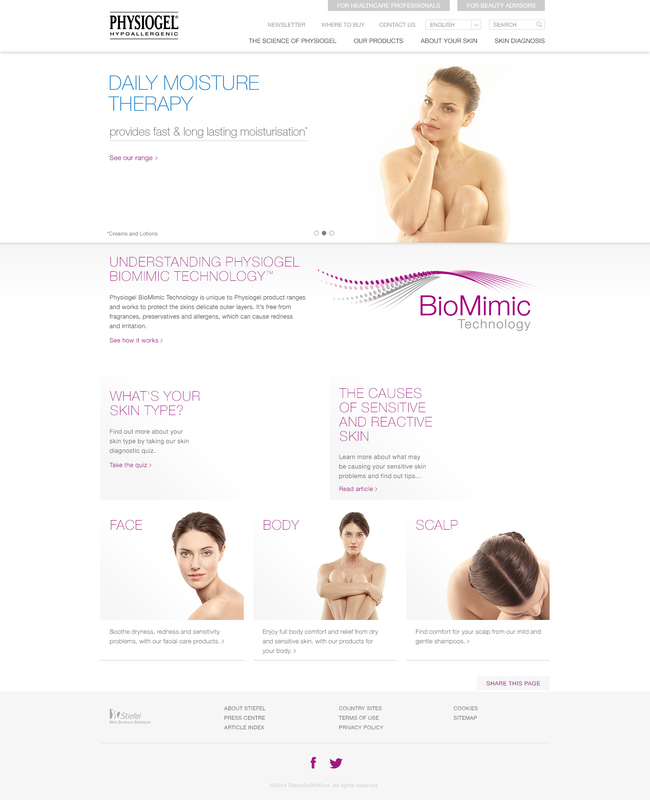 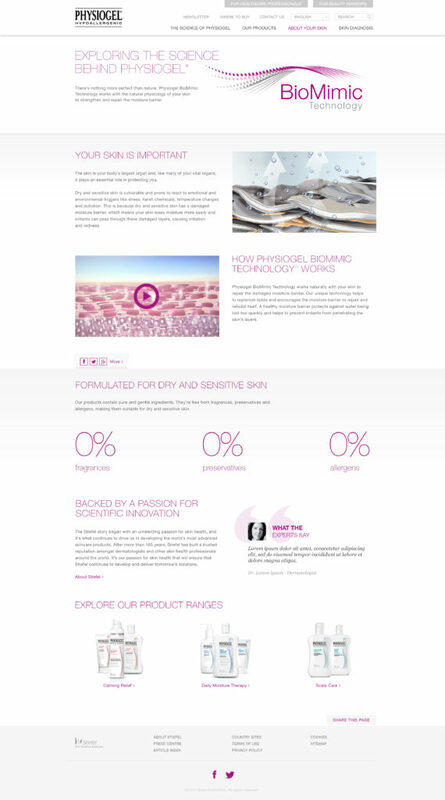 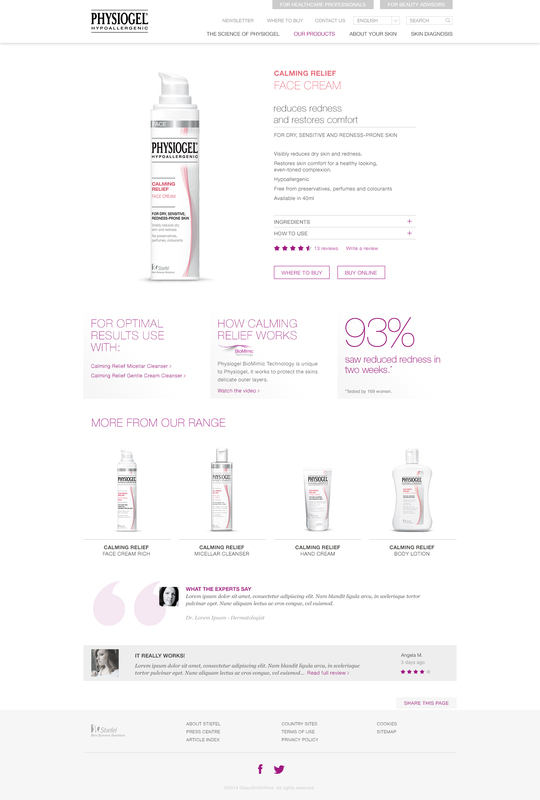 Here you see one example, the Physiogel online portfolio that became a blueprint for all the skin brands. 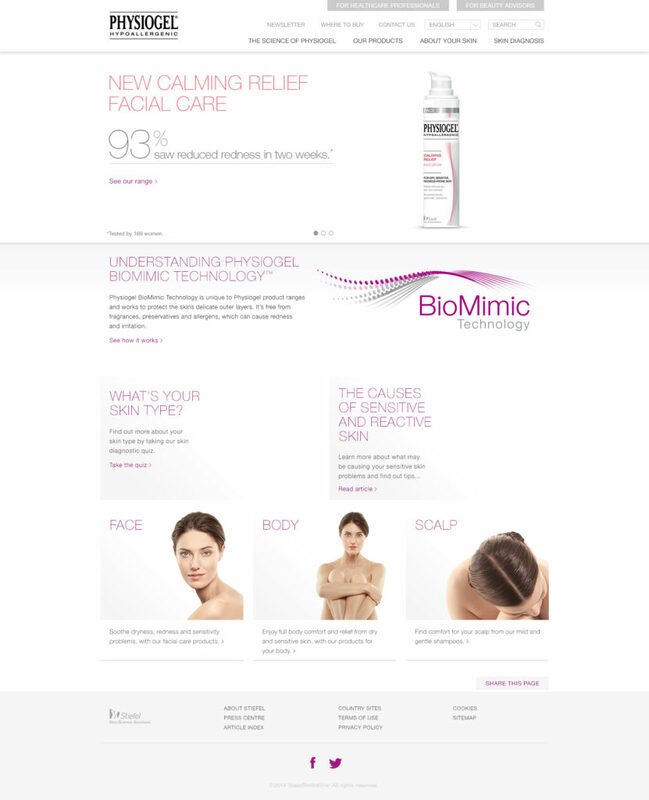 As part of the design research we had observed several issues with the brand; there was no example of any digital branding, customer experience consideration and the pack shot photography was in disarray, comprised of CGI and photography, with little consistency and quality. 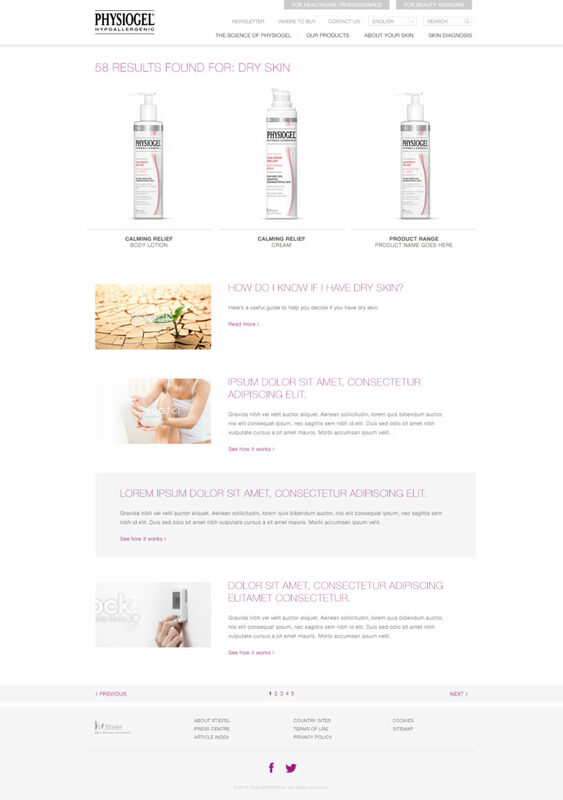 As part of our delivery we completed several brand expression exercises, thorough UX concepting and documentation, and commissioned a full portfolio shoot to celebrate the product outside of its packaging.